In Maths, we have been learning to work out the area of a triangle and rectangle. We have been learning to apply the formula for a triangle. 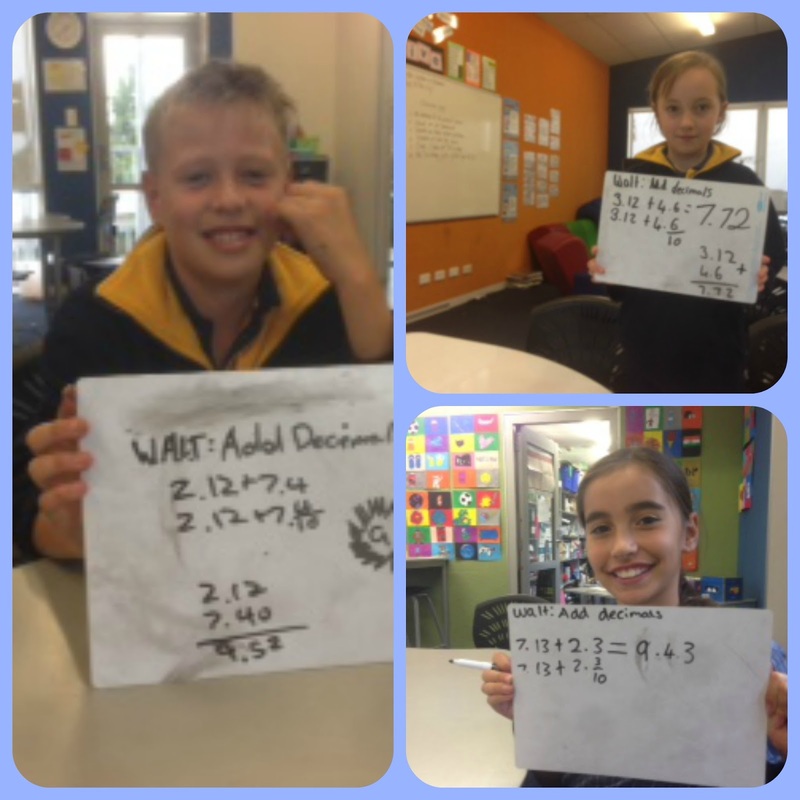 We have been learning to add decimal numbers by separately adding the ones and the tenths. For example: 2 + 7 = 9 + 0. 4 + 0. 1 = 9. 5. Lastly we add on the 2 hundredths, which makes 9. 52.
and that one hundred hundredths make a one, just like 100 cents make one dollar. Well done Dawson, Kaia and Keira!!! !